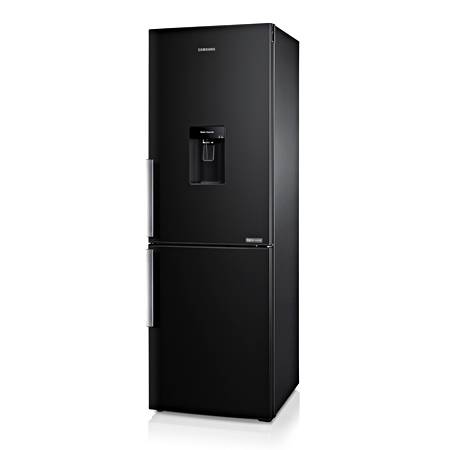 This stylish black fridge freezer from Samsung looks great in a modern kitchen, and comes with some outstanding features to satisfy your cooling requirements.. This Samsung RB29FWJNDBC fridge freezer offers reliable chilling, ensuring all your groceries are kept fresh and nutritious, ready to be cooked into tasty meals.Combining all your chilling appliances into one space can be very helpful in smaller kitchens, and the attractive design of this Samsung fridge freezer looks great too. The RB29FWJNDBC offers plenty of space to store all your groceries. The freezer comes with a generous 98 litre capacity, and the fridge holds a whopping 190 litres. Clear shelves help you find everything easier and are made of glass so can support lots of tasty food. The door has plenty of storage for bottles of various sizes, all your eggs, cheese, and more. Ever been concerned with how safe your water is? The RB29FWJNDBC comes with a handy water dispenser attached to its exterior that filters water thoroughly, removing impurities and giving you peace of mind. Samsung are known for their high-quality products and the RB29FWJNDBC is no different. Buy with confidence - the appliance comes with a great two year guarantee. If you are conscious of your impact on the environment, the RB29FWJNDBC is perfect for you with an A+ energy efficiency rating. This also means running the appliance will have less impact on your energy bills, saving you money. 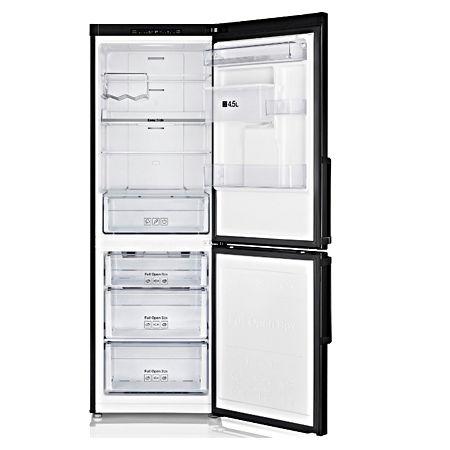 The Samsung RB29FWJNDBC fridge freezer is a great performer with little extras that make a difference. Order yours today. Excellent quiet and well built fridge freezer at a very competitive price. Filing the water chamber is easier than i thought and installation was a doddle.